The white smoke of destiny wafted from the Vatican’s three-bar fire last night and it turns out the whole place wasn’t on fire, rather a new Pope had been anointed. The man given the job was an Argentinian bloke by the name of Jorge Mario Bergoglio, who has taken the name of Pope Francis I. And good luck to him. 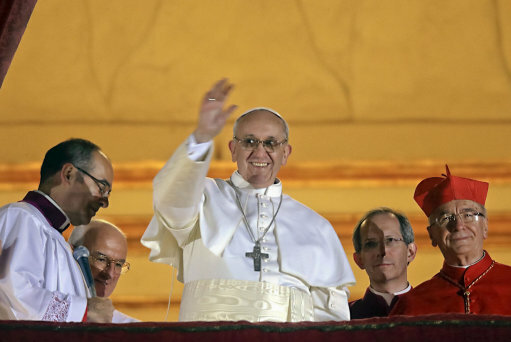 Before taking the Pope gig, Bergoglio had been serving as Archbishop of Buenos Aires for the last 15 years, having been born and raised in the Argentine capital. As well as being raised a devout jesuit priest, he was also raised a devout fan of hometown club San Lorenzo, with the club themselves confirming the fact as he stepped out onto the balcony at Vat City. 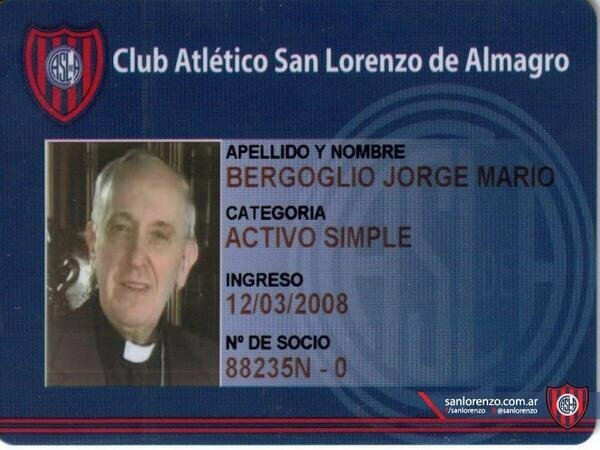 He may just be an “Activo Simple” but word on the wire is that Popey Joe “lives in a permanent state of suffering for San Lorenzo,” that according to the man who apparently processed his club membership back in 2008, architect Oscar Lucchini. Sounds about right. Living in a permanent state of suffering is definitely something most football fans can empathise with. Blimey, with both Aragorn, King of Men and His Holiness on board, surely San Lorenzo boast the most powerful support on the planet. P.S – Please note that Pies is going to be a little lighter than usual this weekend as I’m off stagging it up in Barcelona from today until Monday, though Alan will be doing his thang so you’re not going to have to go completely cold turkey. @chris get a cerveza on me pal!